Don’t stand next to your car looking at the plates typing the same messages every day. 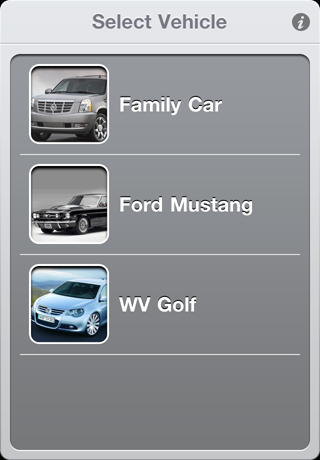 With SMS Parking pay for parking with a couple of taps and go about your business without worry if you entered the right information. 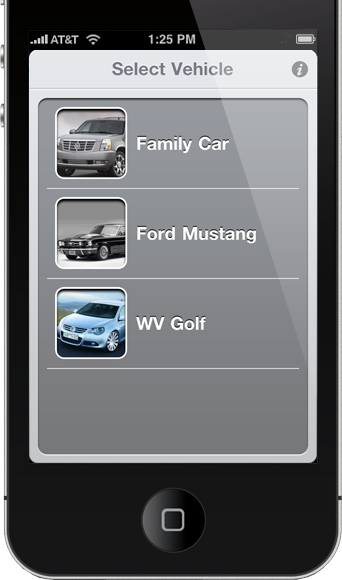 SMS Parking lets you input as many parking zones and vehicles as you need. 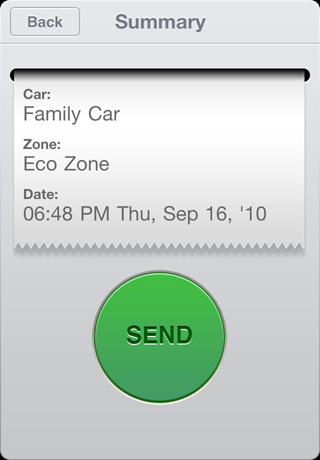 Next time you wish to park simply select the vehicle and zone in which you wish to park and the app will generate and send an sms to the appropriate number. It will even warn you if you overstepped the time limit for that zone. 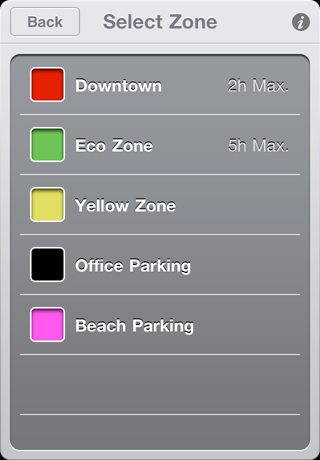 Check out our user submitted database of parking zones across the world. Copyright ©2009-2010 Nikola Lajic. All rights reserved. Apple, the Apple logo, iPod, iTunes, Mac, and the Mac logo are trademarks of Apple Inc., registered in the U.S. and other countries. iPhone and iPad are trademarks of Apple Inc.